Add another one to the pack. Catwoman's Selina Kyle skin is coming to Injustice: Gods Among Us tomorrow. Catwoman's Selina Kyle attire will be joining both Harley Quinn and Wonder Woman's outfits in the Bad Girls skin pack. 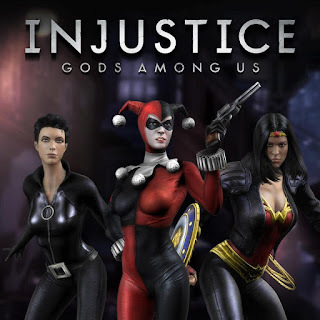 The official Facebook page of Injustice: Gods Among Us posted the image. The Bad Girls and Teen Titans packs will be released on the Xbox Live Marketplace and PSN store tomorrow (May 7).